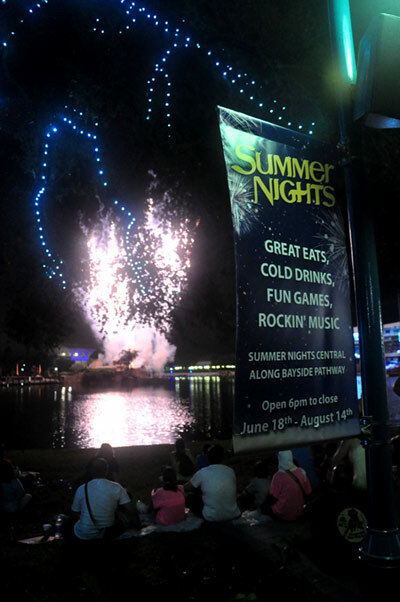 It is SUMMER in Florida and there are just soo many things to do in Orlando! 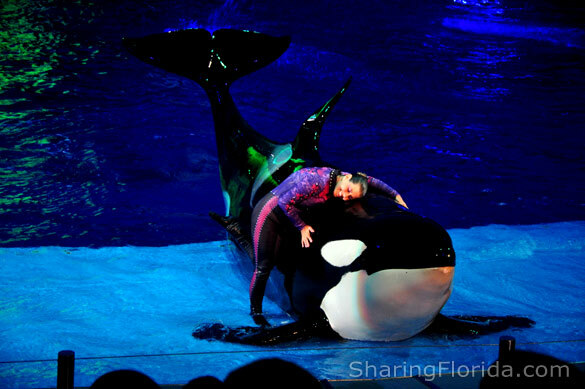 The new Sea World Summer Nights is one of those Things to Do this year. 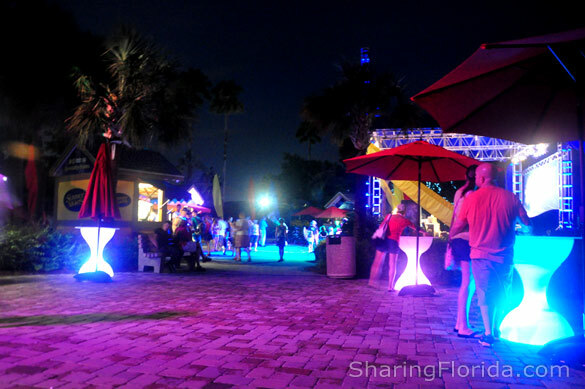 July 2011 – It is SUMMER in Florida and there are just soo many things to do in Orlando! The new Sea World Summer Nights is one of those Things to Do this year. The night time addition features the Shamu Rocks show at night, we recommend getting a front row so you can not only get a better view, but also get splashed by Shamu! One of the best things about going to Sea World after dark is that there are less crowds, which means shorter ride lines to roller coasters such as Manta, and better seating options at the Shamu Rocks show. The Summer Nights also features the Brew Sampler, which is one price to then sample all of the different beers. This is located near the Shamu Rocks stage area. See our photos for a better visual of what the area looks like. As you can see, it is not all that crowded. 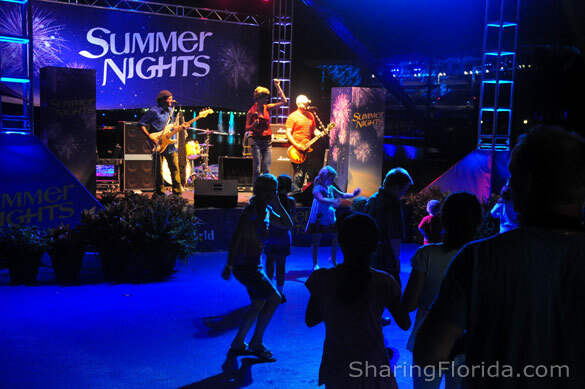 There is also a Summer Nights band which plays during the evening hours. Kids can get up close and dance along with the band! 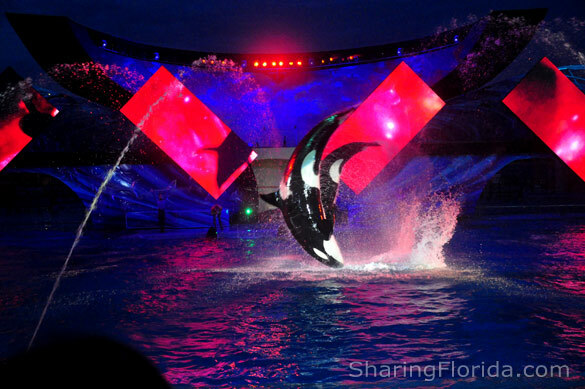 The SeaWorld Summer Nights runs from June 18th to August 14th in Orlando Florida, just off of I-4.